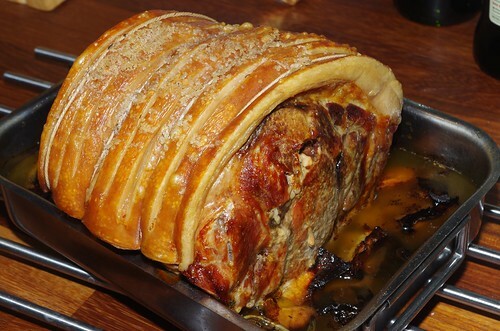 Roast pork is great, lots of lovely crackling and really tasty meat. The important thing is making sure you cook the right cuts in the right way. 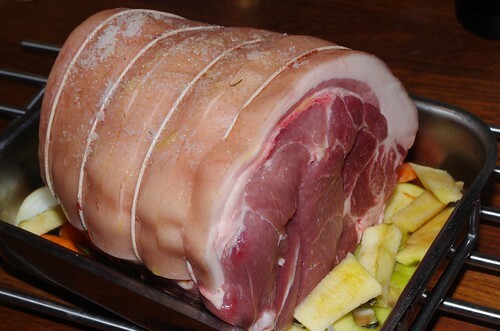 Loin of pork, for example cooks a lot faster that belly, leg or shoulder and therefore, you won’t get decent crackling in the same time as it takes to cook the meat so that it remains succulent. If you do cook a loin joint to get crackling, the meat will be all dried out. So, if you are roasting a loin joint, remove the rind and cook it separately to get proper crackling. Anyway, the joint I cooked here was a boned and rolled spare rib joint, which is actually a shoulder cut and nothing to do with the spare ribs with bones that you get in sticky sauce in a Chinese restaurant. 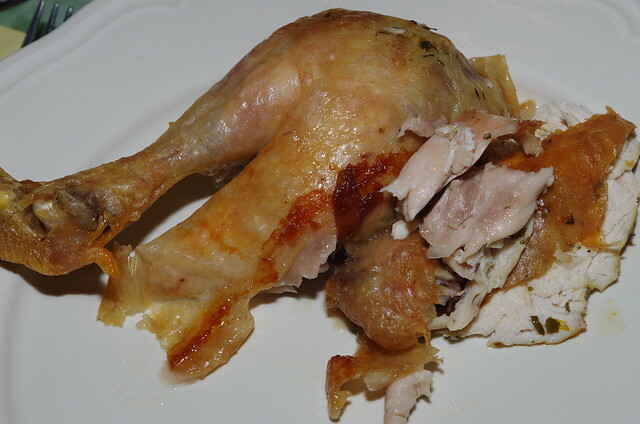 This is a joint that will stand a longer cooking time without drying out because it contains more fat and is muscle that has worked more than the loin. The joint was scored and tied by the butcher, so there wasn’t any preparation required, apart from rubbing salt into the rind. 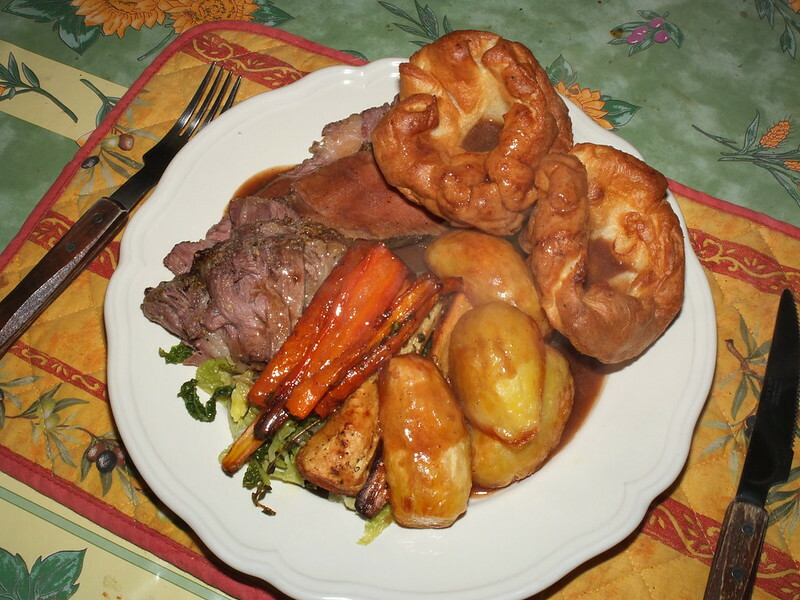 I like a flavoursome gravy, made with the pan juices, and to help this I roast my meat on a bed of chopped vegetables and herbs and, in the case of pork, sliced apples too. I used sliced onion, skin included, sliced carrots, sliced Cox’s apples (plus the cores from the apples I was going to braise with red cabbage) and a mixture of fresh thyme, rosemary and sage. This layer was seasoned with salt and pepper and the meat placed on top. It was roasted in a 180C oven for about two and a half hours, at which point the crackling was done and the meat nicely cooked through. The vegetable layer was caramelised and a bit charred, which is exactly what you want. While the meat was resting, I poured the pan liquid through a sieve into a bowl and used a ladle to remove as much fat as possible from the surface of the stock. 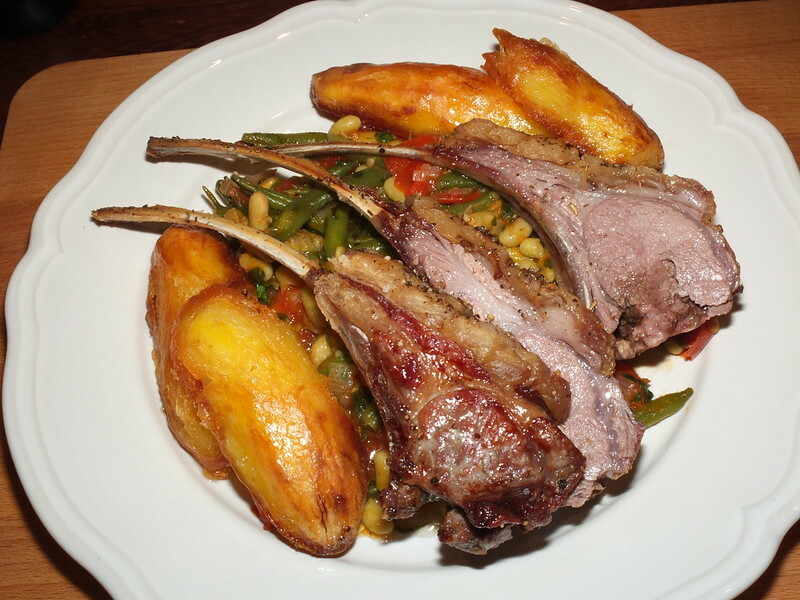 Then, I added half a bottle of dry cider to the pan and cooked it on the hob, scraping up all the caramelised meat and sticky gunk from the pan. This was then strained through the sieve into the stock and the gravy was simmered in a saucepan and thickened with some potato flour mixed into a thin paste with cold water. 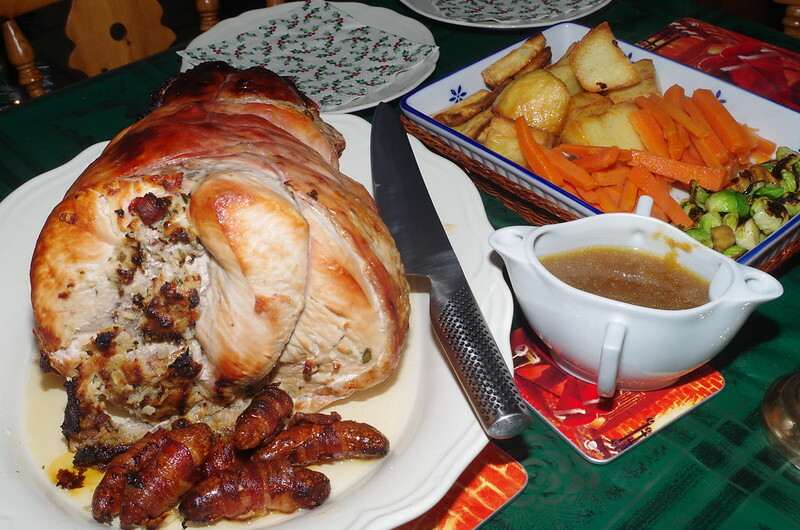 Finally, the crackling was removed from the meat before carving and serving. 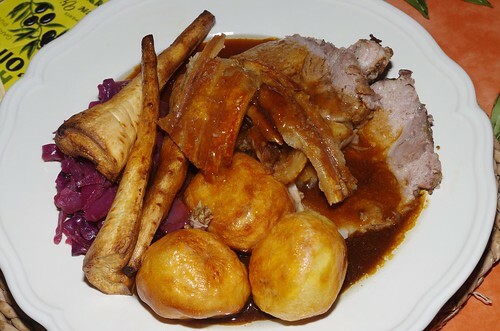 We had the pork with roast potatoes, roast parsnips and the previously mentioned red cabbage braised in cider with apple.